Aikatsu! – 135 | Mezashite! Just like the Japanese assume children know that yotsuba = four-leaf clover, I assume you all do as well. There were some other Kobe related things in the episode, but you should be able to understand them. If not, then reevaluate what your world is centered around. Thanks for your passionate, subkatsu! Time for some mystery girl time! thank you for subbing aikatsu so far. I really appreciate it. I am Indonesian. I wish I can help you with something that related with this. Thanks for the hard work as always. I gotta say though, ugh, I am glad that Kokone isn’t going to be around long. She kinds of annoys me– its the catchphrase that does it. I find her catch phrase adorable. The fact that her VA is one of my favorites definitely helps. 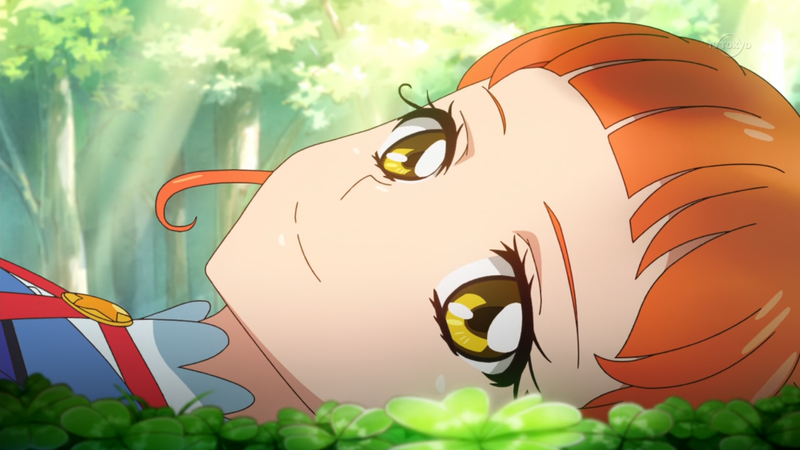 Mezashite-san will do the Aikatsu Movie? w ? Is there any way to check news here through RSS? Also, what does “Notify me of new posts by email” mean? Will it send to me all comments to the single post where i did comment or all new posts at website? Confusing description. True. I got a email now which offer me to confirm subscription for all new posts here. Awesome.